A Christian counseling professional, How and where can you find one? The same thoughts could be applied to finding others to help us in the ‘soul’ world. Try as we may, we never can find all the keys to successfully relating to others WITHIN ourselves. One of the prices of living in a ‘fallen’ world is that we are all wounded. These wounds trigger mechanisms within us so that we do not feel the pain – or at least they go to great efforts to keep us from feeling the pain. Severe pains in our lives trigger deeper mechanisms and these get ‘layered’, like an onion, as they ‘attempt’ to protect us from more pain. However, instead of REALLY protecting us, they MASK the pain and never really rid the cause. Often these create behaviors in us where we find ourselves repeating bad cycles – even when we purpose it will not happen. A frequent result is that they often DRAW us to others who only serve to perpetuate the cycles. I had been married for 25 years and served 8 years in full-time ministry when I found myself in a divorce. (Read my biography on my web site.) A couple years later I was spending time with a new close friend who was also now my Pastor. He asked me if I had given any thought to Christian counseling. I honestly responded that I was open to this, but did not know of anything I had to work on. I did know this friend well enough to understand that he was seeing something that I was not. He recommended a good Christian counseling professional and I began to see him. It took several months, but great discoveries were made that produced a freedom like I had NEVER known. While I share this good news, I must also tell you that my former wife and I also went to a couple of Christian counsellors – and I would not recommend either of them to anyone. So how does one go about in finding a good counsellor? Go to the yellow pages and obtain the names of Christian counseling groups. 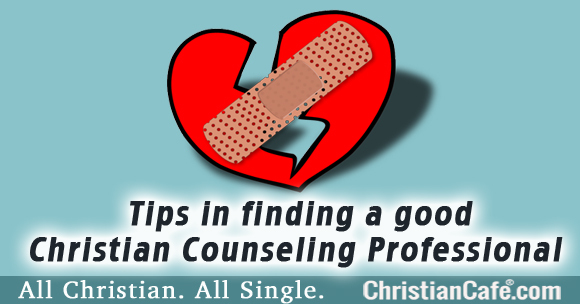 How to make sure he/she is a Christian Counseling Professional that can help you. Why are they a counsellor? What is their fee? If your resources are limited, do they have a sliding scale or can they work with you? Do they have any Pastors who can recommend them from their work with members of their congregation? You should be very careful who you accept to be your GUIDE through a very important ‘soul’ searching time. I do not recommend that you find someone ‘just like you’! For example, my Christian counsellor never prayed with me. It was not that he did not believe in prayer, but since I had been a Pastor, he took me out of my realm of familiarity to a place where I had to look inside me. God was very much present and using the counsellor to guide ME to find the source of the forces within me that were motivating to negative thought processes. The results were awesome! Check out another article about TRUST: Broken Trust and Relationships. This is not intended to be an absolute complete consideration in finding a good Christian counseling professional. I do hope that it will open you to the idea that this could be a great avenue for you to use and some thoughts in how to go about it. May God guide you and provide the one that He wants to use for you. Note: The answers provided in this site are intended to be as one provided by a minister. It is NOT intended to take the place of a licensed counsellor. Dr. Rives encourages all who are seeking to resolve deeply rooted psychological, emotional or behavioral needs to seek the services of a trained and licensed counsellor. The answers provided in this web site are intended to be words of encouragement and spiritual guidance as one would obtain from a licensed minister as well as the sharing of Dr. Rives’ personal experience. Next post Advice For Single Christian Women: What’s wrong with men? I tried Christian counseling twice. I did everything the counselor told me to do. I am divorced twice. Both of my wives backslid from the Lord and threw me out of there lives. I am currently seeing a psychiatrist for depression. Two divorces will do that to a person. I worked and prayed to make both marriages work. They both failed. I never wanted a divorce. I want marriage to work. It takes 2 people to make marriage work. Maybe one day I will find a woman who will not backslide from the Lord. I am depressed and lonely. That’s my life with 3 very good Christian counselors. Yes I agree. Likewise the two divorces. But with God’s grace you can rise above it. I’m now part parylised from an accident on top of two divorces. Do I just give up ? Sometimes I do. I feel women have usurped their connectiveness with men. They too often think they are God. Men are hurting but women don’t know it. Thank you for your insight that was very informative and has helped me @ this moment in my life! 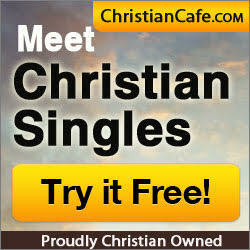 Dr. Jim Rives is a Life and Leadership coach who wrote articles specifically for Christian singles, for ChristianCafe.com. He currently provides personal coaching to businesses in general. I find it ironic, that churches lost good pastoral care and slid into professional councelling. Ok, as an additional resource – maybe. After years of this North American model, I finally found my church where pastors serve people, shepherd them, not redirect them to outside paid help. So sad to see lukewarm carnal Christianity, so superficial, smiling but not genuine, lacking passion of the first love, genuine spirit of serving the kingdom. Wake up folks. Revelation 2 is for this generation. Yes ! The church of nice. All smiles and no love. Cannot walk a mile in your shoes. Cannot be The Christ to others. Church has become just a business, a career. I was divorced after a domestic violence divorce. In 2003. I was remarried but scared to get remarried but I trusted God. My husband just passed away 2 months ago. Anthony, you’re right, going through traumatic experiences such as divorce and broken relationships where people lie and say “I love you” does cause depression. I have been learning great things about relationships recently, as I just went through a devastating experience where my relationship with the person I thought I would marry next year was torn apart by family members and his co-workers telling him I am racist, spreading it around his whole work. Honestly, it’s a deeply tragic character flaw on his part to not have the backbone to stand up for me just because he can’t handle conflict or problems. So, I am glad it is over and I don’t need that destructive person in my life. What I need in my life is one who will spiritually lead me as a man should, defends me in all circumstances, and knows that I have his back too. You should be looking for a genuine woman that has great loyalty and character; it takes spending quality time with her and interacting with her to truly know her. See, my ex destroyer did not do any of these things and therefore did not know one thing about me. He only knew what he wanted to make up in his head based off whatever family and dumb co-workers told him. All people are full of sin and we cannot control anyone; they are solely responsible for their actions. As long as you are right with Jesus, there’s nothing He won’t do for you, including keeping your marriage together if God has ordained that marriage and you truly sought God for it. We reap the consequences of our choices, and believe me, as soon as I repent from my choices the other people better watch out!!! Because my God is a God of mercy and justice and He will repay, chastening those who claim Him and destroying those who don’t know Him.